You are here: Home > AAP to homebirth advocates: don’t trust birth! AAP to homebirth advocates: don’t trust birth! The American Academy of Pediatrics has issued a policy statement on homebirth. It has been getting a lot of press, but most mainstream media sources seemed to have missed its true significance. NBCnews.com, Time, The Huffington Post and The Atlantic, among others, have highlighted the fact that the AAP issued guidelines at all, and haven’t noticed that most American homebirths fail to meet virtually all the guidelines. Rather than supporting homebirth as it currently exists, the AAP is actually condemning it. The policy statement starts by stating the obvious: the homebirth is not as safe as hospital birth. But for those women who would rather choose the less safe option, the AAP offers guidelines to minimized the increased risk, summarized in the following chart. No pregnancy complications of any kind. Contrary to the prattling of homebirth midwives, NONE of those issues are variations of normal; ALL are complications. The midwife must be practicing within the medical system. A second midwife (or pediatrician) must be available to care for only the baby. A PRE-EXISTING arrangement with a hospital for transfer. Don’t undertake homebirth when there is ANY increased risk of complications. Don’t undertake homebirth without 2 midwives, integrated into the health care system, who have physician back up and a pre-existing transfer arrangement with a nearby hospital. The AAP recognizes that childbirth is dangerous, complications are common, any risk factors mean that the mother is not an appropriate candidate, and systems must be in place for the additional complications that will inevitably occur. Even leaving aside their inadequate education and training, American homebirth midwives (CPMs, LMs, DEMS and lay midwives) routinely violate every guideline set forth by the AAP. That’s why they are unsafe practitioners and why the CPM credential must be abolished. Mainstream media sources seemed to have missed the central point of the AAP guidelines, homebirth as it is currently practiced in the US not merely less safe than the hospital, it is unsafe. Apparently the “What to Expect when Expecting” website did not read the same memo. I think the WTEWE website gave a reasonable summary- which sais AAP only support HB if attended by Drs or CNMs with transfer plans in place. I’m not sure if I would call a transfer rate of 20-40% (what one would expect with proper intrapartum care) to be “rare” though. If the AAP and the ACOG have both established policy statements on homebirth, is it likely that political engagement in establishing regulations on homebirth will follow? Or are physicians not really inclined that way? What would it look like if they did? Is homebirth even possible to regulate? Homebirth probably cannot be 100% regulated, but national legislation which clearly defines who can attend one, etc. [and makes it a crime for anyone else to do so] will undoubtedly help, in the same way that practicing medicine without a license is a felony. From time to time some charlatan “Doctor” pops up, but it is risky enough that most doctor-wannabes are discouraged. Having read the paper, it is clearly a scathing condemnation of HB with CPMs. In fact, I wonder exactly what percentage of the HBs being done in the US actually conform to these guidelines? I doubt there are many at all. Precious few. Even TFB with her two CNM HB doesn’t qualify by reason of being a VBAC. TFB only had one homebirth. She had 2 VBACs but the first was in hospital. Previous C/S, even when followed by a hospital VBAC, removes a woman from being a candidate for homebirth EVER. Not in BC it doesn’t…. Other highlights from the statement:. , the AAP in concert with the ACOG does not support the provision of care by lay midwives or other midwives who are not certiﬁed by the American Midwifery Certiﬁcation Board. the AAP in concert with the ACOG does not support the provision of care by lay midwives or other midwives who are not certiﬁed by the American Midwifery Certiﬁcation Board. Screening for hyperbilirubinemia: …All newborn infants should be assessed for risk of hyperbilirubinemia and undergo bilirubin screening between 24 and 48 hours. If the homebirthers think this supports their practice, or is anyway supportive of CPMs, they are very mistaken. Eye goop, vitamin k shots, real bili checks, hep B vax, transfer is a good thing, not a failure. And HBACS are absolute no-nos. Yeah, let’s see how much the CPMs agree…. What about risking out for being GBS+? Should a midwife risk a client out for that condition as well? Midwives can carry IV antibiotics in Canada. GBS + is not a contraindication to homebirth. It isn’t. However, I’ve seen occasions in which midwives will have a patient planning a home birth who has GBS and ruptured membranes without labor. Recommendations are for proceeding with induction of labor. I’ve seen the midwives support their patients decision to decline IOL (I wonder about the informed consent process, but that’s a different discussion), and then administer IV antibiotics at home every four hours, or have their client come to hospital for antibiotics, refuse induction and then go home again. They have a college and have stringent guidelines for transfer / home birth, etc. I’ve seen lots of practices clearly outside the guidelines, and it is often put onto the patient, as the patient will decline standard of care. “I know the guidelines state IOL is indicated, but she really wants a home birth and wants to wait for labor. I can’t force her into the hospital.” Document that the patient declined and go on about your merry way, then, you aren’t responsible. I don’t trust their idea of informed consent. My point is just cause they have guidelines and a college and a back up physician, does not mean they are practicing standard of care. Monitoring for group B streptococcal disease: As recommended by the Centers for Disease Control and Prevention and the AAP, all pregnant women should be screened for group B streptococcal colonization at 35 to 37 weeks of gestation. Women who are colonized should receive ≥4 hours of intravenous penicillin, ampicillin, or cefazolin. If the mother has received this intrapartum treatment and both she and her newborn infant remain asymptomatic, they can remain at home if the infant can be observed frequently by an experienced and knowledgeable health care provider. If the mother shows signs of chorioamnionitis or if the infant does not appear completely well, the infant should be transferred rapidly to a medical facility for additional evaluation and treatment. Short answer: GBS positive? Need 4 hrs of IV antibiotic, or your out! If the home birth midwife is a CNM I should think they would be able to administer antibiotics. Am I wrong? OT: today on the Ricki Lake show: TBOBB part 2. Why are you watching daytime television? Thank you. It was the obvious question, but I was too scared to ask. Boy are you a sucker for punishment! The AAP endorses homebirth!!!!! And the NCB crowd goes wild. Looks like yet another falsehood that we’ll be tediously correcting over and over. I need to make saved copies of the misinformation I refute most often so I can just C&P them instead of taking the time to type them out 9,857,487 times. It’s like the homebirthers cheering that ACOG promotes VBACs and VBA2C. The. The next comment out of their mouth is they are having it at home. For those who don’t know, ACOG requires continuous fetal monitoring and immediate proximitry to an OR. But the woo regularly stretch the recommendations to fit their little dream. They love to cherrypick the AAP, ACOG and the world health organization. Of course these are a great start however, these are very similar to the guidelines for the publicly funded Homebirth program in australia which as we recently saw had a 5 times higher death rate than comparable risk hospital birth. For women researching and deciding on Homebirth, informed consent should include these AAP guidelines. The discussion with the woman should be clearly documented in her medical records. 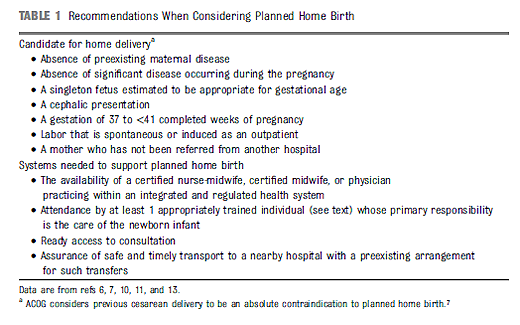 Physicians who suspect or know their patients are considering Homebirth should supply these AAP guidelines to them and document in their office chart the discussion and that they received a copy of it. Exactly! State regulatory bodies should mandate that the AAP guidelines are a required element of informed consent. Well that will help those Oregon midwives that have been trying to come up with informed consent forms for the past couple of years. I wonder how they’re getting on with it? Pediatricians could post them in waiting rooms, especially in areas with many homebirths. Future MDC community forum: My doctor posted a notice about how we shouldn’t we do a homebirth without a pediatrician present. LOL! Guess he just couldn’t stand not getting paid for all those births now that educated women know they can birth at home! Should I find a new pediatrician? “No, you should find a new brain” <- this should be the answer. They do not use pediatricians! They go to Naturopaths. Peds always insist on vaxx, and they prefer pox parties. Yes, but these guidelines should be annotated for the lay person so there is no confusion. i.e., clarify that “Certified Midwife” means CM and not CPM. Lay people will not pick up on that important distinction unless they have specifically read about the suite of kinds of midwives in the US. I wish the statement was more clear in that an apprentice midwife isn’t adequate for the baby cos that seems to be how lay midwives work – the primary midwife and the assistant or apprentice show up. ..and how much does the mother know about the ‘assistant’? In my experience, you can have someone completely clueless show up at your birth when you haven’t ever met them before. Sometimes you get the same student you met during your prenatal visits, but it depends. I attended births with two practices of midwives, whoever had someone in labor I would be there whether I had met the woman before or not. I don’t know why all the lay midwives are excited about this when the AAP is very clear about WHO is qualified to perform home-births. Makes me wonder what % of home-births are performed by physicians and CNMs anyway? Is this progress? Sure, since the recommendations would improve safety measures and (if followed) would reduce the number of home-birth. I would not jump to the conclusion that the AAP SUPPORTS home-births. They are so stupid they don’t realize that this is the beginning of the end for the CPM. Until now, homebirth has been such a fringe practice that most obstetricians and pediatricians haven’t been paying attention. Between Ricki Lake and the CPM publicity campaigns, they have managed to increase the number of homebirth deaths and injuries so that doctors are taking notice. The AAP policy statement is just a first pass and it basically says that homebirth as it is practiced in the US is unsafe, that CPMs aren’t real midwives and that homebirths ought to be regulated in the exact same way that they are in other industrialized countries. As the hideous death toll of homebirth enters the mainstream consciousness, the regulation will increase and it is inevitable that the CPM will be abolished here just like it was abolished in the Canada. CPMs are going to find that the biggest mistake they ever made was attempting to popularize homebirth. They are lay birth junkies and it won’t be long until everyone realizes that. I was also wondering, if the AAP is saying only physicians/CNMs should perform home-births, it doesn’t say much when many malpractice carriers excluded home-births. Which again begs the question, per the AAP recommendations, WHO exactly will be (and is comfortable) performing these home-births? Exactly. Don’t think for a second they aren’t well aware. I hope you are right. Let those good CPMs that we keep hearing about go on to become CNMs. In other words, complete their training. They and their clients are both stupid enough to think that “certified midwife” means them. The few that know the difference are too depraved to correct the rest. Good grief, so many homebirth advocates are really dreadful at reading comprehension. This is how they ‘do their research’? I am shocked, just shocked, that the AAP would rather not come up with a pound of cure for those who actively avoid the ounce of prevention. My mother always told me “your procrastination does not become my emergency”. Few people know about the CNM-equivalent CM credential. I think it’s only available in NY, NJ, and one other state. It’s the US’s only direct-entry midwife credential that produces midwives who are qualified to work in hospitals. I am so glad that they point out the need for a baby or ped nurse. I have often wondered how one midwife would deal with a floppy baby and a bleeding mother. Maybe just scream out directions to daddy, while working on the other one? That way if they both die only one of them is your fault? That’s far too generous, of course neither of them would be her fault. What do they mean by “outpatient induction?” Would that include prostaglandin and/or IV Pit? I was huh? with that one too. What do they mean? Starting a labor and sending the mom home? I have no idea, but my guess is that it means the mother comes in only for the planned induction as compared to a mother that comes in for pre-e and is induced as a result. I would guess sweeping of membranes or something like that. Some places will do outpatient PGE. It could also refer to mechanical induction – foley catheter. Oh that’s a better guess than I had. I was thinking castor oil *shudder*. Castor oil gives a patient diarrhea, and so was thought to help provoke labor, as some women have diarrhea when contractions first begin. Now discredited as a means of induction. Probably prostaglandins. There used to be a protocol called a “three day induction” for women whose cervices were not favorable. Two days to “ripen” the cervix, and a third day to get labor going. If it didn’t, go to C/S after three days. I haven’t seen it much in recent years. The table you included states that a “certified nurse-midwife, certified midwife or physician”. What do you think the reference to “certified midwife” is referring to? 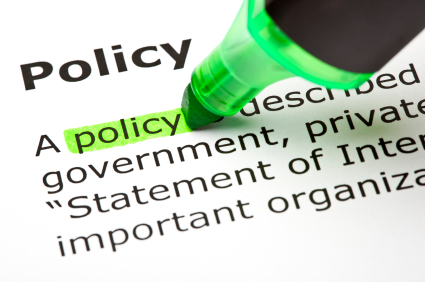 Is it specified in the policy statement? Or is this an error by the AAP not to clarify the type of provider necessary to provide the safest possible care? Certified midwives are individuals who have or receive a background in a health related field other than nursing and graduate from a midwifery education program accredited by ACME. Graduates of an ACME-accredited midwifery education program take the same national certification examination as CNMs but receive the professional designation of certified midwife. I think there is a CM which is a college midwifery degree that doesn’t require a nursing degree first, much like the UK midwifery degree. It is NOT the CPM qualification. My take on the AAP guidance are that is specifically excludes CPMs, DEMs, and Traditional midwives, not least because they are NEVER well integrated or regulated and do not have appropriate training to manage a coding newborn. CNM=Certified Nurse Midwife. This is an RN (registered nurse) who went on after obtaining a nursing degree to obtain an advanced practice degree in Midwifery. These highly trained midwives are certified by the AMCB, the American Midwifery Certification Board. These midwives can work in hospitals. CM=Certified Midwife. This type of midwife did not obtain an RN first, but did train in a AMCB certified midwifery program. This degree does require a bachelors college degree (BA or BS) and some nursing classes in addition to the midwifery training. This degree is rare in the US compared to the CNM. It is the training most similar to the training of midwives in the Netherlands and Great Britain. These midwives can work in hospitals. Thanks for the course! I read the AMCB site trying to understand how a CM differs and the best I could get is it would be someone who was a midwife in Europe. I have never met a midwife who is a CM. But, to be fair, some of the CPMs aren’t just apprentice trained. There are some midwifery schools that have courses and curriculums. Some appear, from the course descriptions, to be fairly rigorous, but that’s the exception. The problem is the CPM credential is meaningless because you could hire a Whapio, or someone who apprenticed trained with a nut and passed a test, or someone who apprentice trained with someone decent and has exceptionally good standards ( thinking of Kneelingwoman or Navelgazing Midwife before she decided not to practice midwifery) or someone who went to one of the rare, better midwifery schools. The CPM credential is dangerous because the bar is set way too low. Thanks I found a link that clarifies what the CM means even more. It’s exceptionally rare. That rules out CPMs, who are NOT integrated in the health system, and are inadequately regulated. Ugh. I JUST saw Anita Rojas on the morning news talking about how great these guidelines are. Too bad they weren’t out when she attended Kelsie Koberstein’s home birth of a breech baby. I think you are right. I’m sure CPM’s will be happy to crow to their potential clients that AAP has signed off on homebirth but will likely not go over the actual guidelines. Those are great guidelines. I hope that legislators can use them to craft laws that more or less exclude CPM’s from practice. That worries me too, If you don’t read it carefully it can look like an endorsement of CPMs and it’s obviously not. There’s also a difference between getting an NRP card and really being able to perform a skilled, full resuscitation. AAP should clarify that too. If they want to meet NRP standards at home they needs to not just have O2 but be able to blend it, be skilled at intubation ( most nurses have passed NRP but have never intubated themselves, that’s not skilled at doing it it’s skilled at assisting ) , have the intubation equipment, have a sat monitor for neonates, and I suppose, though honestly I can’t see this at home, being able to put in a UVC line. I can’t really imagine two people in a home being able to pull off the UVC line and I think it would be better to give the epi via ET if needed. Who would open the tray while one person was bagging and the other doing compressions. Frankly, who would draw up the epi.? Maybe they need to change that to three people. While Dr. Amy sees “no VBAC” in these guidelines, I am pretty sure HBAC advocates (as I once was) will note the absence of “no prior cesarean” or similar wording. Oh, I see, the footnote mentions that ACOG considers previous cesarean an “absolute contraindication.” I can easily see advocates either missing that as I did (at least without reading every other word in the document, it’s also not crystal clear that the AAP agrees — understand I’m thinking of the “let’s claim everything and everyone we possibly can to ‘support’ homebirth” perspective here), or just ignoring it and hoping nobody else notices another hole in any claim of support from mainstream medicine for homebirth. I think somewhere in the NRP text it does state that passing the test and getting an NRP card does not mean you are now competent. And yes, a full blow code would be beyond the scope of 2 midwives. And as karma would have it, it seems like whenever there is a problem with the baby, the mother starts bleeding uncontrollably. Hey old friend! Yes they do say that! I think that they need to maybe reiterate that people who attend homebirths should be able to really do it, not just assist at it. Since so many CPMs mention they are NRP certified. So am I but I have never intubated a baby ( only assisted) and have only drawn up meds during a full code while others got the uvc line. I’ve actually never had to do the compressions but I’ve been there. ( not a good thing to say… like saying its S L O W ) I just worry that since some of these CPMs seem to lack judgement that they would present it as if they can do anything the hospital can do and a card is no substitute for experience.